Charities of the world over face a constant struggle to raise the funds they need to enable them to fulfil their charitable purposes. It’s no different for TOLFA, an animal welfare charity, registered in the UK and India with its operational base in Rajasthan, Northern India. But thanks in part to carefully targeted and ongoing support from Ceva, TOLFA’s fund raising operations and other vital back-office functions have gone from strength to strength. This means that more animals in need are being treated and more people are being educated about kind and safe interaction with animals. It brings its vision to life by running a busy animal hospital and rescue centre for owner-less animals that reside on India’s streets; through a rabies eradication program based on neutering and vaccination of owner-less dogs; by helping local villagers care for their animals; by operating a vet clinic for pet owners; and by teaching children how to become kind and compassionate members of society and take care of not only the animals in their locality but to be considerate to the environment and other human beings as well. 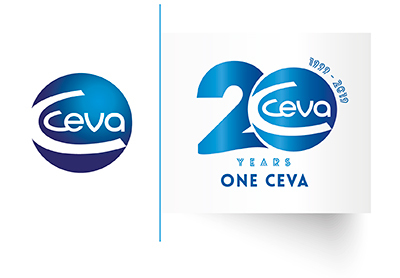 Ceva’s support has made a real difference. Compared to 2015, our grant income in 2017 increased by more than 90%. A single social media campaign, focused on maggot-infected dogs during the post-monsoon season when the risk is especially high, raised in just two weeks enough money to directly help 180 dogs. TOLFA’s achievements during 2017 were impressive: 5,967 animals admitted to its rescue centre and hospital, 22,497 animals treated through its rural outreach program and 5,358 pets treated at its veterinary clinic. In addition, 1,329 school pupils were taught its animal welfare and rabies awareness syllabus. Ceva’s relationship with TOLFA dates back to 2012 when Rachel Wright, TOLFA’s founder, was recognised as the Welfare Nurse of the Year in the inaugural Ceva Awards for Animal Welfare. Since then the company has provided financial, practical and moral support to the charity. During 2017, the focus has been on helping TOLFA be more effective in its fund raising so that it can concentrate on helping more animals and engaging with more communities. Ceva’s support during the year included contributing towards the salary of Clara Nowak, TOLFA’s executive director in the UK, providing access to a specialist donor management software package and directly sponsoring printing of fundraising calendars and greeting cards.